Berlin has been in a housing crisis for years. More and more people need rental apartments they can afford. 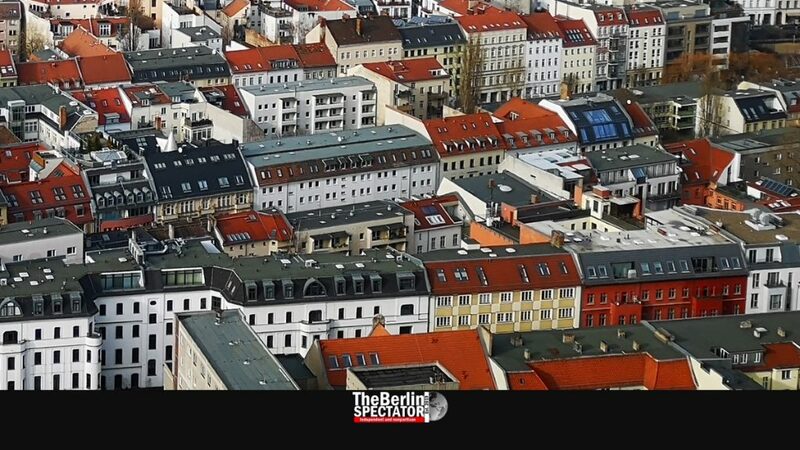 For every apartment offered in Berlin, there are hundreds of prospects. At the same time, the big players keep on increasing rents to astronomical levels. Berlin’s high rents, which many can not afford, in combination with the ongoing housing shortage in the German capital, have created a difficult situation affected people no longer want to accept. Therefore thousands came to Alexanderplatz today, for a big protest organized by a total of 100 associations and other organizations. They demanded an end to the “rent insanity” and affordable housing in Berlin. Left-winger groups set up several stands at the protest’s starting point. A band played while the square was filling up slowly, on a warm and sunny Saturday. Participants carried signs saying “We want to live” or “Expropriate them now”. 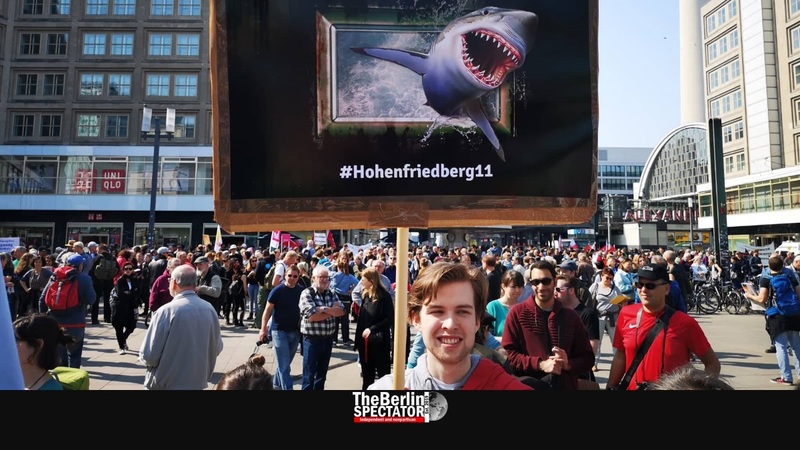 The protest marks the start of an initiative called ‘Expropriate Deutsche Wohnen‘ for which the organizers are collecting signatures. Deutsche Wohnen ist one of the largest real estate companies in Germany. It owns 163,100 apartments in the country, out of which more than 100,000 are located in Berlin. According to the founders of the initiative, Berlin should expropriate the company by taking over thousands of its apartments in order to decrease the rents substantially and rent them out. Because the housing situation in Berlin is alarming indeed the organizers can count on a lot of support for the initiative, which might lead to a referendum on the matter. At the protest, hundreds added their signatures and contact data to the initiative’s list. They believe harsh measures need to be taken, in order to improve the situation as quickly as possible. So far, the three-way left-wing coalition which rules Berlin has not managed to improve things by providing a lot of additional apartments, even though this aspect was made a priority in the coalition agreement between the center-left SPD, ‘Die Linke’ (‘The Left’) and the Greens. Still, Berlin Senators and other politicians from those three parties announced they would join the protest. The SPD does not really want to expropriate Deutsche Wohnen, but seems to want to show it cares. The Greens have still not decided whether they want to support the initiative, while ‘Die Linke’ is ready to do so. The ‘Association of Real Estate Companies in Berlin and Brandenburg’ blasted attempts to expropriate any of its members, which is hardly surprising. Berlin’s conservative opposition rejects the idea as well. Those who oppose expropriation believe only building a lot more apartment blocks can improve the situation. Berlin’s serious housing problem and the initiative for dispossession has caught the attention of the entire country. The news from Berlin have also spread internationally. ‘The Guardian’ reported, the Berlin protest was about “nothing less than a housing revolution”.